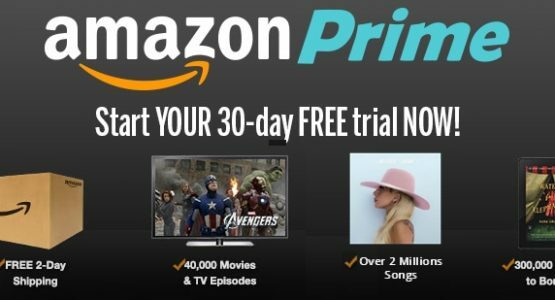 Amazon Prime are offering media hungry users an awesome free 30 day trial to try out their services. Amazon Prime isnt just about speedy delivery services! Get access to over 2 millions specially selected songs. Enjoy hands free listening with Alexa. Get access to thousands of Movies and TV shows and watch them on your browser, mobile phone or smart TV. Include new blockbuster movies like Jack Reacher, Transformers and Bollywood movies. You also get Original Prime series that you wont find on streaming services like Netflix…so you get exclusive member only content. Amazon Channels is a TV streaming service which allows Prime members to add channel subscriptions for a monthly subscription. No contracts needed! Users can add channels like ITV Hub+, Discovery, Eurosport, Hayu and MUBI across all devices with the Prime Video app, including connected TVs, streaming media players, mobile devices, Amazon Fire TV, Fire TV Stick, Fire tablets, and online. Users can watch Premium channels now without having to buy bundles. You can click to start watching the channels straight away, without having to wait for any installation. Please note that some of these may be time limited special offers or trials and are correct at time of making this post.